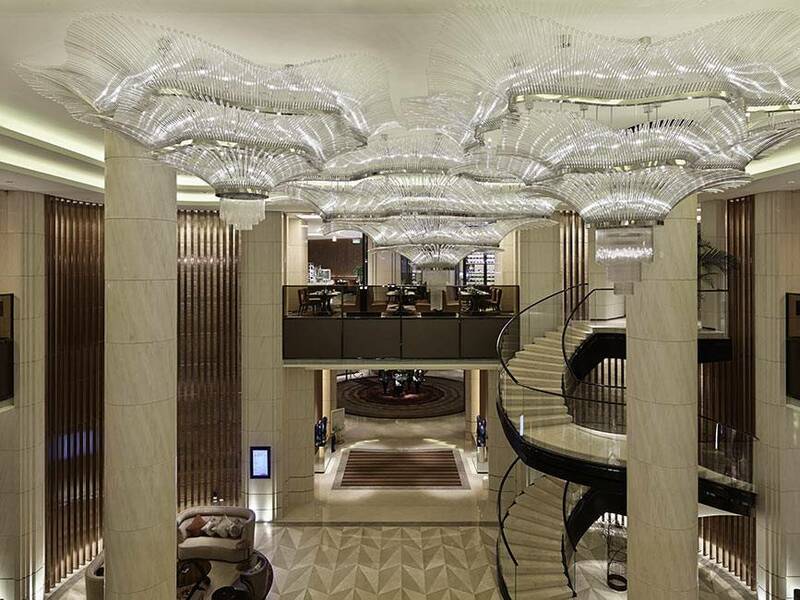 The Westin Xiamen Hotel is located in the WuYi Plaza, an ultramodern complex that combines arts, sports, retail, and entertainment. 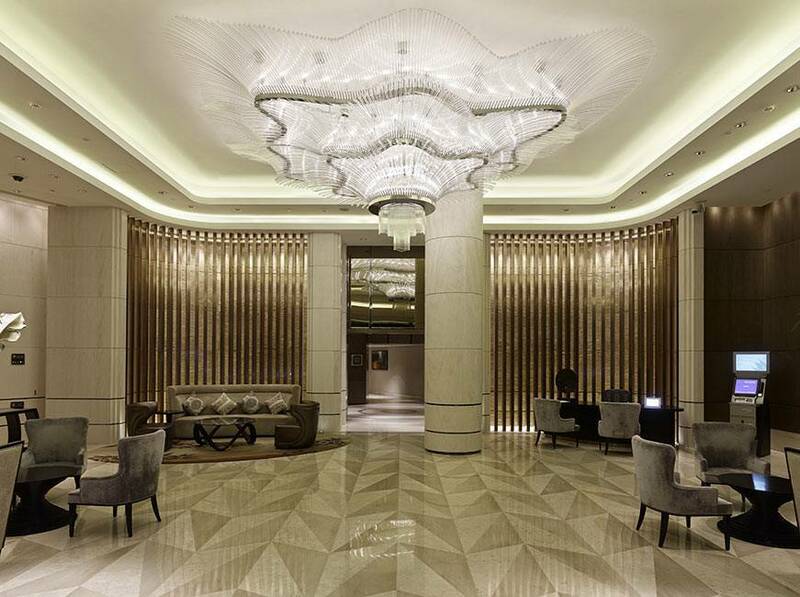 Towering above the city, the hotel offers guests direct access to the central district and tourist attractions. 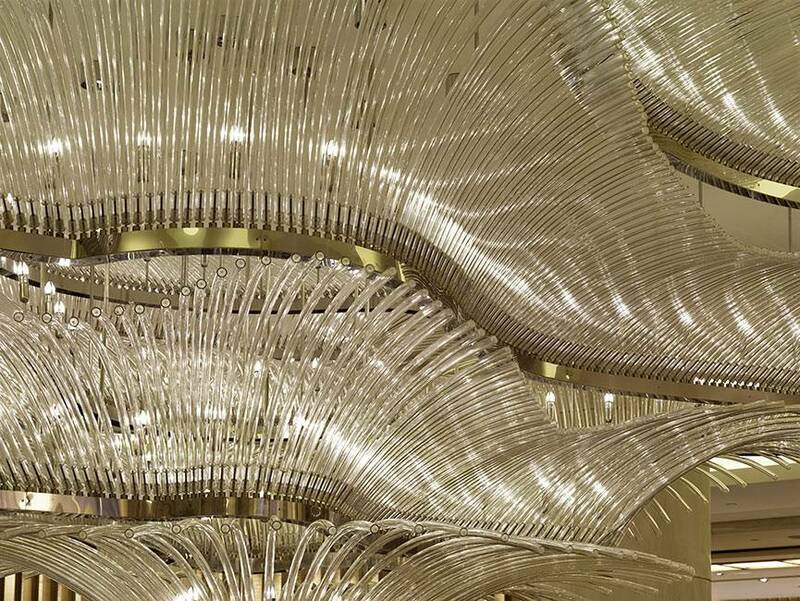 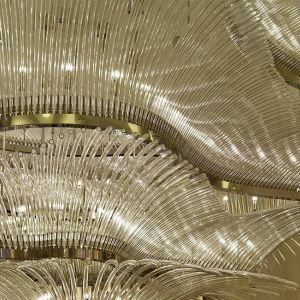 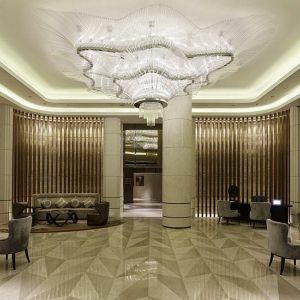 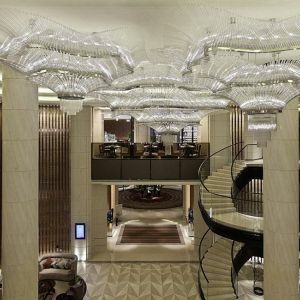 When conceiving the Westin Xiamen project, the designers from Wilson Associates Singapore wished to create a state of enchantment for arriving guests, restoring their physical and emotional harmony as they enter. 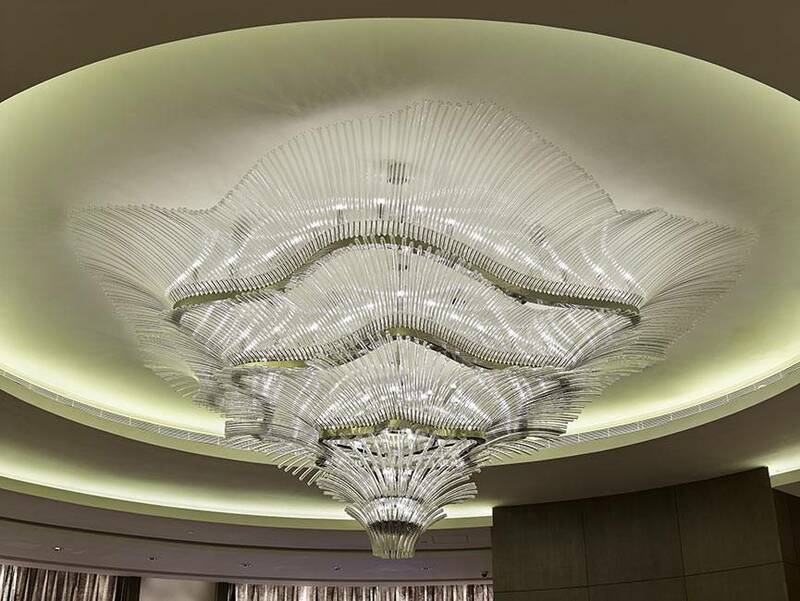 In keeping with the airy interior, lighting designers from PRECIOSA were inspired by the image of a feather floating in a fresh summer breeze, using special glass rod swivels that allow for flexible adjustment of the lighting contours. 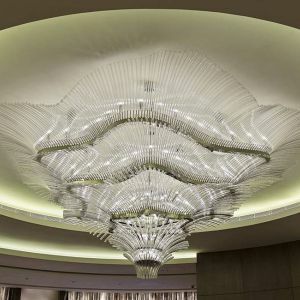 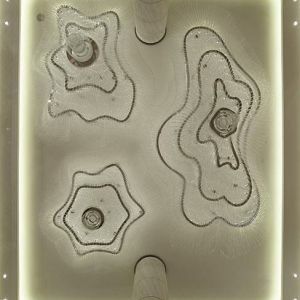 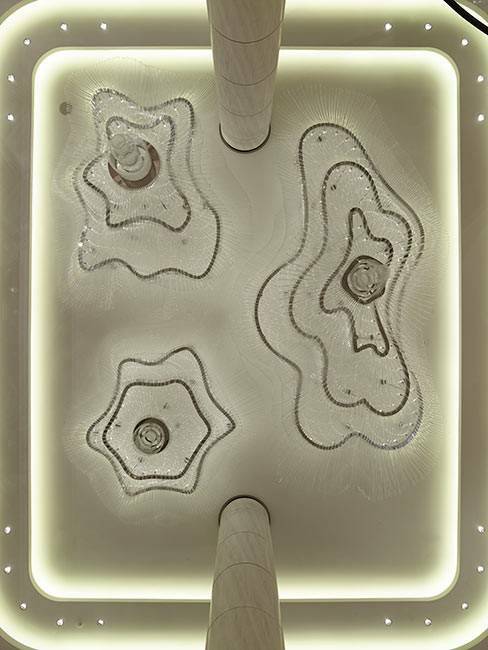 Environmentally friendly “Green Technology” LED light sources were also incorporated.